Wife to a former MLB player, current foster + adoptive + bio momma, and communicator Katie Roberts not only shares her real-life stories, but dives deep into the beautiful, real, and raw stories of the women around her. Everyone has a story. 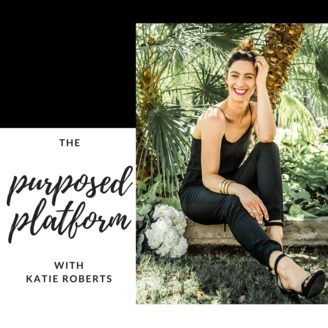 Katie's mission, is to provide a platform for women to tell their stories with purpose. You can learn something from everyone, and you just might find, you're not alone in the battles you face. Explore with her the beauty of women telling their stories from an honest approach, with the purpose-- to inspire. What's your story? 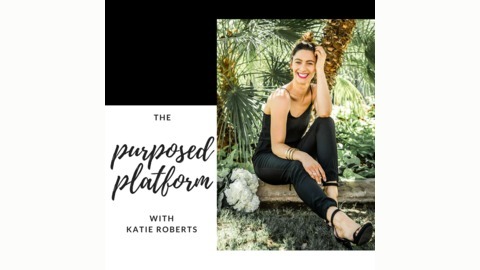 INSTAGRAM: @katiellisroberts WEBSITE: www.thepurposedplatform.com/podcast. In this episode, I have a conversation with MLB wife, Ashlee Yates. Ashlee began having uncommon speech symptoms after the birth of her first child, and when her baby was just three months old, she went in for an MRI only to find out she was pregnant with her second baby. She was officially diagnosed with epilepsy following the birth of her second child. She talks about the memories of her seizures, her fears, and the power of a woman’s intuition.